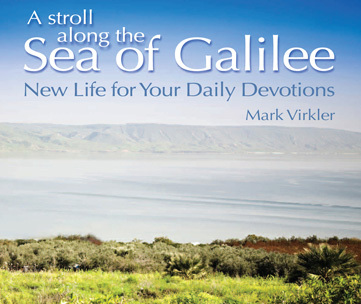 Home » Blogs » Mark Virkler's blog » Would You PLEASE STOP Believing for the Takeover of the World by Satan! Jesus said, "According to your faith be it unto you" (Matt. 9:29). I just tried to convince someone that light was more powerful than darkness and truth was more powerful than error, and that light and truth would win in the situation we were discussing. He disagreed because of this verse, which he offered as an offhanded quote, "As it was in the days of Noah, so it shall be at the coming of the son of man." (Lk. 17:20-37). Well, I didn't get into a debate with him over the phone, but I am sure tired of Christians believing things MUST get worse and worse, while New Agers believe things will get better and better. Two contrasting views. One is a much harder sell to the unbeliever when I am seeking to introduce them to Christ. And basing a negative outlook on the Luke 17 passage is poor exegesis, since the context is clearly pointing to the sudden unexpectedness of the event, not the cultural depravity. Did you know the Church holds 4 different views of eschatology? In Bible college, I took the time to back up each of the four beliefs about eschatology with enough Scripture to satisfy me. Here is a book which lays out all four positions, along with full-color, beautiful pictures and charts and tons of Scripture for each of the four views. So for a while I said, "I no longer care what you believe, as each position can be backed up with Scripture." However, I have changed my mind and now I do care what you believe, because if the Church is the entity in this world believing, speaking and envisioning the takeover of the planet by the forces of evil, then satan has won and the Church is HELPING him create this horrible reality! Do you recall how faith was established in Abraham, the father of all who believe (Rom. 4:11)? He believed an idea, a word from the Lord (Gen. 12:1-4). He accepted and pondered a picture of this idea fulfilled (Gen. 15:1-6). He declared that this promise was already fulfilled (Gen. 17:1-7 - Abraham means "father of a multitude"), and he birthed the reality (Gen. 21:1-5). In this case, it was the realities of the Kingdom of God Abraham birthed, because the idea and picture came from encounters with God! However, when ideas and pictures come from my theology, NOT birthed in an encounter with God, then I have humanism (self) in action, rather than Christianity (Jesus in action). Here is one Scripture which the Lord has illumined to me, and there are NOT four possible interpretations to it! If God's government is continuously increasing, then satan's must be continuously decreasing, until it comes to an end! I choose to envision this, believe this, speak this and join with the Holy Spirit in creating this reality on the earth. It gives me a positive reason to get up in the morning and believe I can make a difference in this world. Will you join me in BELIEVING THIS? The power satan has is bolstered through misguided belief in his supposed abilities. I choose to renounce such belief as the doctrine of demons. If you are on the phone with me, please don't share your belief in the power of our arch-enemy whom Christ defeated at Calvary (Col. 2:15)! How can I help promote faith, hope, spiritual intimacy and spiritual revival? Here is a link which answers this question: "Spread Revival by Saturating the World with Communion with God." The link provides, steps for: 1) Learning the message of spiritual intimacy, 2) Living it, 3) Sharing it, 4) Encouraging others to live it, 5) Supporting CWG Ministries with prayer and finances as we spread this message worldwide (currently translated into 51 languages), 6) Utilizing the resources we have made available to help you and 7) Earning a degree which demonstrates you have mastered these skills and are prepared and anointed to impact the world. Submitted by Anonymous on January 22, 2019 - 07:06. Thank you for sharing the HOPE that you have in Christ. May we be found faithful when He comes. May we be found occupying when He comes. May we be found making disciples and teaching the nations His Word and how to obey it, when He comes. I pray that He comes today. But if it is a few more generations, I pray that He anoints us to heal the sick, cast out demons, bind up the broken hearted and set the captives free until then. May America be found a sheep nation when He comes. Well, that is going to take LOTS of prayer and work! How may I work with you in this adventure!? Submitted by Mark Virkler on January 22, 2019 - 12:06. Bren, Thank you for your faith, passion and desire to help. As the Bible shows, a SMALL group of people with FAITH is all it takes to gain the victory (Judges 7). Your question is so perfect, I am going to answer it here, and add it to the end of the blog itself. So here is a link which answers your question. Join Our Team and Mission: https://www.cwgministries.org/our-mission "Spread Revival by Saturating the World with Communion with God." The link provides, steps for: 1) learning the message of spiritual intimacy, 2) living it, 3) sharing it, 4) encouraging others in living it, 5) Supporting CWG Ministries with prayer and finances as we spread this message world wide (currently translated into 51 languages), 6) Resources available to help you and 7) Degrees showing you have mastered these skills and are anointed and fully prepared.